When it comes to cardio, I’ve always thrived in a group fitness atmosphere. I grew up dancing, and relied on my dance friends to make it through grueling practices while motivating me to point a little harder and jump a little higher. Since then, I’ve always enjoyed the motivation that comes with working out in a group. There’s always the “rabbit” in the class that doesn’t quit, and even when you want to, you look at the rabbit and trick yourself into continuing. One of the benefits of group fitness is that there is a such a wide variety of classes. You can spin, swim, jump, dance, crank, punch heavy bags, whatever floats your boat. There are always new classes on the horizon, so it’s fun to check out your gym’s schedule and see what they offer. Here’s the thing, too: if you enjoy it, you’ll do it. There are so many types of fitness activities out there so you have NO reason to punish yourself and do something you loathe. Love it and you’ll stick with it! 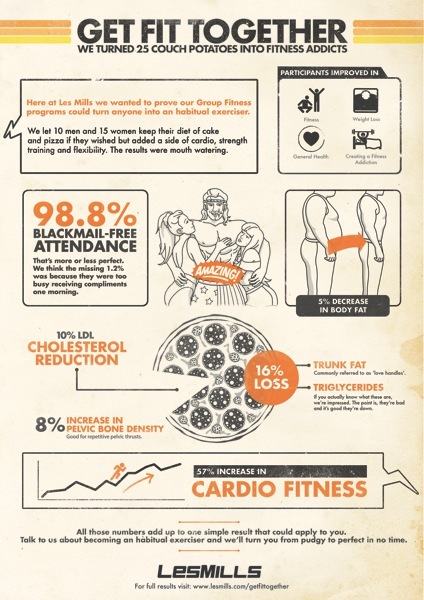 Les Mills recently conducted an interesting study about the benefit of group fitness classes, even when participants didn’t change their diet. Get Fit Together, a study conducted by Dr Jinger Gottschall and Pennsylvania State University (and published in the Open Journal of Preventative Medicine), subjected 25 sedentary types to a 30 week program made up solely of LES MILLS™ Group Fitness classes. This program was based on the American College of Sports Medicine (ACSM) physical activity guidelines (which suggest an hour of cardio exercise 2-5 days a week; 8-10 strength exercises two days a week, and flexibility exercises once a week, to maintain health). · Over the 30 week study, 20 out of 25 study participants never missed a workout – a compliance rate of 98.8 per cent. This highlights that enjoyment and community built from group exercise is vital in creating good fitness habits as it taps into deeper motivators than just physical improvement. This is what kept people coming back for more! · Without changing their diets, our research participants increased good (HDL) cholesterol and decreased bad (LDL) cholesterol. They also saw a decrease in body fat by almost seven per cent for men and just over four per cent for women, and increased muscle mass by an average of 13.6lbs for men and 2.6lbs for women. · Participants who had a ‘poor’ fitness reading to begin with graduated to an ‘above average’ level after the 30 week trial; they also increased their aerobic capacity by almost 60 per cent. T They experienced all of these amazing results with exercise only– pretty incredible! Can you imagine if they would have changed up their diet, too? Research participants did a combination of BODYATTACK™, BODYBALANCE™/BODYFLOW™, BODYCOMBAT™, BODYPUMP™, BODYSTEP™ and RPM™ classes. Despite each of these programs being highly engaging, it was not the workouts alone that drove the results and helped make the new fitness regime stick. The 30 week research period featured an initial six week period of acclimatization. This acclimatization period enabled participants to be eased in slowly, taking easier classes in the beginning and walking out when it got tough, before ramping up the intensity with a full six-day-a-week exercise schedule. This meant they were not overwhelmed by it all and there was no acute pain from overworking unfit muscles. I think this is key when beginning a new fitness program. When I train new clients, especially if it’s their first time working out, we use bodyweight only or lift very light weights (like 3-5 lbs). You don’t want them to be so sore that they dread their next workout. There’s a sweet spot of soreness: you feel like you did something, but it’s not debilitating pain. Keep it fresh but most importantly, engage in activities that you find enjoyable – the results should follow! To find a LES MILLS class near you, visit www.lesmills.com/findaclass. Have you tried any of the Les Mills formats before? Interesting finds! I love BodyPump and just tried BodyCombat last night. Combat wiped the floor with me! 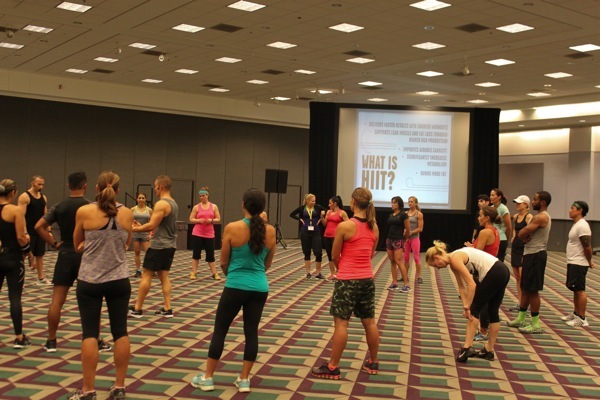 I teach 3 Les Mills’ formats (including GRIT & BP), and love ’em all–as do people who come. The classes are legit, and if taught right, will help people stick with their fitness goals while having tons of fun! Interesting study! I think it answers the burning question that so many people ask about their workout regimen: I need to be doing x, y, z instead of I WANT to do a,b,c. You are so much more likely to stick with a plan that you like that you feel like you should. For example- I don’t really like running. 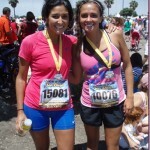 Although I follow a ton of bloggers who are die hard runners and read about it everyday, I personally don’t like it. Instead of doing it because I “think” I should, I prefer to lift heavy and go to yoga classes, because that’s what I enjoy and I stick with it far more than I ever did/have with running. I’ve never tried a Les Mills class, but it’s on my list! Looks like a blast! We used to have a BodyPump instructor out where I live and now she is gone. I deeply miss it. I haven’t found another class like it either. For me I would have to drive about 30 minutes into the next town to try and find a class and I would probably consider it, but there is an expensive membership involved that I just can’t do. Some day. 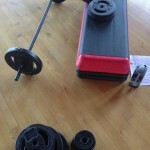 I liked BodyPump so much that even considered if I wanted to be an instructor for awhile. I think it is well laid out for people to participate and benefit regardless of their fitness level. Having someone in your class to motivate you is so true! My best friend and I danced together for years growing up and having that friendly competition always pushed us to work harder. Group fitness is the adult version of being on a team together. It builds bonds and brings people closer together (as long as they interact during class). OH wow! this program sounds great! I will have to look up some classes! I absolutely LOVE Les Mills classes! My favorite is BodyPump – it changed my life when I started really working out and getting fit three years ago. I’d love to be an instructor some day! The other formats are just as much fun – there is something for everything, and having other people around to work out with and enjoy the class with makes it that much better. Very interesting study. The difference in muscle mass gain between men and women should help dispel the myth that women “bulk up” like men when they lift weights – so not true! LOVE LOVE LOVE Body Pump & Body Flow!! PLEASEEEEE pretty please start doing fashion posts again 🙂 Those were my favorite!!!!!!!!!!!!!!!! I haven’t tried a Les Mills class yet, but I LOVEEE hiit workouts and am a sucker for Chalean Extreme. I clearly have to try this out!! BodyJAM is the bomb. If you love Zumba, you’ll obsess over BodyJam. It’s big in Copenhagen and when I studied abroad in Denmark I got hooked!! I’ve tried BodyPump but I found the group setting meant the instructor couldn’t really make sure everyone was using proper form. I think this is very dangerous for strength training. I ended up getting injured because instructors didn’t correct my form while doing squats, and they told me to pile on weights when I wasn’t strong enought. I can definitely vouch for the effectiveness for group fitness. I do Zumba and I love it! Not only is the instructor motivating, but all the people the class help to motivate me too! I love Les Mills classes. Because they are a NZ company they were really popular when I was living in Australia and I taught BodyJam. Sadly there are few in my area! I LOVE BodyPump and wish my gym had it. I totally agree that you have to find something you like. If you don’t, you’ll be miserable and make excuses to avoid the gym, but the beauty is, there’s something for everybody (and every body). i hope you get it soon! it was an amazing workout!! Those results are awesome! I am not one to choose group fitness as my first option and the closest I get is yoga-haha! Awesome results! I love Les Mills formats particularly Body Pump (I teach!) and Body Step (I hope to get my certification soon). I have my eye on GRIT but it is not yet offered in our area. How did you become a Les Mills Ambassador? Congratulations! Hey Gina! do you have any suggestions for at-home work out DvDs? I’m going to try to get a bundle of them for christmas (( your’s included.)) but I’d like to know if you have any recommendations? 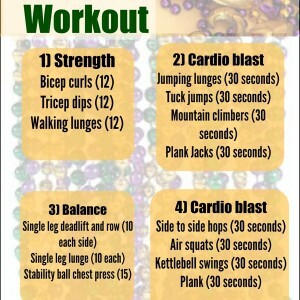 I’m going to try to also get the zumba starter/pack, as I really love cardio/yoga exercise? 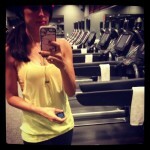 here’s a post i did a while ago with my fave at-home options: fitnessista.com/2011/08/at-home-workout-options/? Thanks so much for posting this! I recently fell in love with BP by taking classes at Canyon Fitness, which closed last Friday. I actually cried because I loved the class so much. I never thought I would enjoy a group fitness class as much as Les Mills. I will definitely be looking for a new venue! I really enjoy group fitness classes and would totally try this! i love body pump (i took it for 5 months when i lived somewhere else) and tried body combat or attack (the cardio kickboxing one) one time, but sadly there are no les mills classes to be found where i live or anywhere remotely close! it’s so frustrating living where i live. fitness-wise we are like 25 years behind the rest of the world. my Y still offers step classes and they aren’t very good. the YW down the street isn’t any better. the instructors never change up their routines and it’s so boring and not very challenging. i live vicariously through you. I bought the LesMills Combat from beach body, because I am in the same situation. It is AMAZING! I LOVE Rachel & Dan, they play off of each other great! The music is the best I have ever had in a dvd workout. didn’t know beachbody was carrying les mills products. i am definitely going to take a look at it. thanks for the info! Love love love this!! I’m a Les Mills RPM instructor but if I were to do another program, I’d love to become certified in Body Step too! As you said, the fact that all LMI programs provide an opportunity for anyone to participate, no matter what their fitness level, is so key in getting people to stick to their goals and get active on a regular basis. 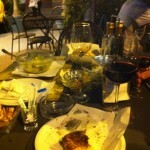 Great post Gina! I’m a HUGE Les Mills fan and am so happy they offer several courses at my gym. My favs are BodyPump and BodyFlow, but also enjoy S’hbam and BodyCombat. I’ve been very interested in getting certified to teach Les Mills, but my gym is no longer sponsoring people. Do you know if there is any other way or you absolutely have to be sponsored by a gym? Body combat is my jam! I also adore CX work. I LOVE BodyPump in the gyms, since I moved it’s been a no go. The base gyms just are too far! I have Combat at home & lost 12 inches over all while gaining an inch of muscle in each arm. I LOVE how they do both sides, and they have the BEST music! So excited for your monthly post! I looove BodyPump and Combat! I’m so happy to see you’re doing an ambassadorship with LesMillls – how exciting! I loved BodyPump after my very first class at the gym, and then came to find the at-home DVD’s thru Beachbody which i use now all the time. 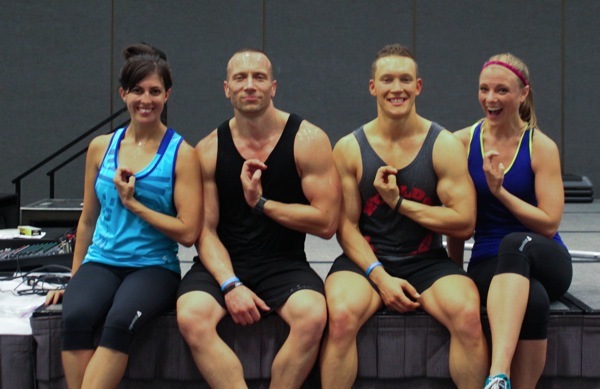 I love LesMills Combat and LesMills Pump – I got to meet Dan and Rach recently and they are amazing! So inspiring and they keep me motivated to stay on track. I love GRIT! It’s my favorite, quick and intense! That’s so funny! I’ve had Jeremiah (the guy in the pic with you) as an instructor at my gym here in Northern California. He’s got the best energy, I loved him. I’m excited to learn more through your ambassadorship. LesMills workouts are the shiza. Love Les Mills! Most of the classes at my gym are Les Mills. I absolutely LOVE BodyPump! I absolutely love Body Pump. It makes me feel amazing! I just came across your blog! This is going to seem so out of the blue – but I’m looking for skilled athletes that know LM BodyPump movements for a video we’re producing for our client. We’re looking for extras to participate in the video. The premise of the video is to thank Les Mills instructors for everything they do. I would love to chat with you about this. Please let me know if you’re still in the Bay Area and if you’re interested in learning more about this!